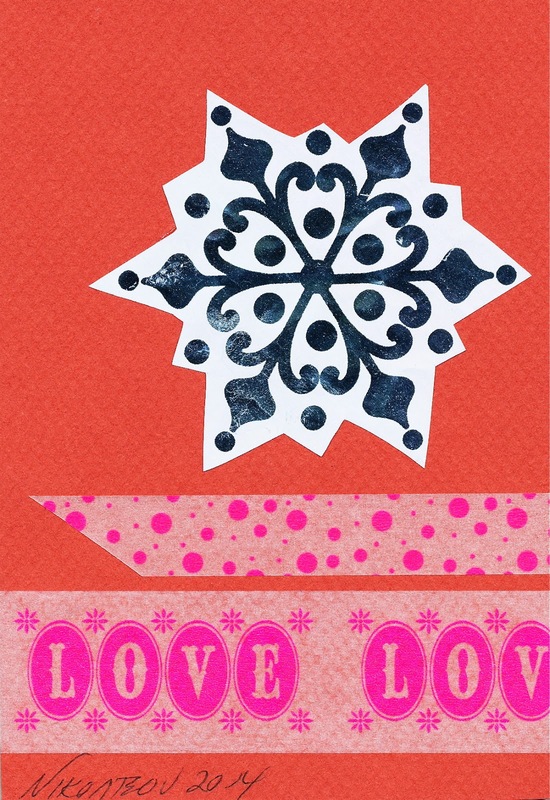 December will be a slow month for exchanging mail art, but there is still action to be found. Most exciting is the fact that five of my entries to Calls for Mail Art are being exhibited this month. The first exhibition is Ritual at the 4x8 Gallery in Edinburgh, Scotland in collaboration with Inkwell, Edinburgh University’s creative writing magazine. The second is I dream…at the Incline Gallery in San Francisco, California, USA. The third is an exhibition in Patras, Greece, Color My World. As I’ve said before, I wish I could travel to all the places that my small artworks have traveled. I’m including some links below, so my viewers can share in the fun. Images for my entries can be found in earlier posts. The 4x8 Gallery is part of the The Forest, a cultural gathering place for the arts. The entries for I Dream.. then traveled to San Francisco, CA, USA where an exhibition was hosted by Cultivative.org and Incline Gallery. At the conclusion of this exhibition the mail art will be distributed to those in need of a smile and a gift. 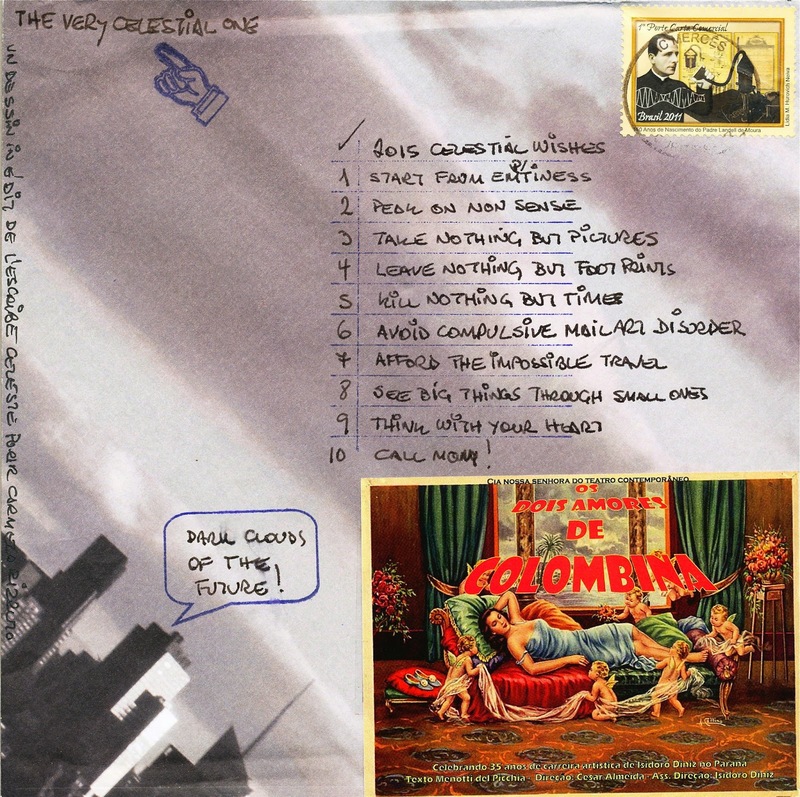 Patricio, Celestial Scribe, Curitiba, Brasil sent one of his hand-crafted envelopes with multiple enclosures. 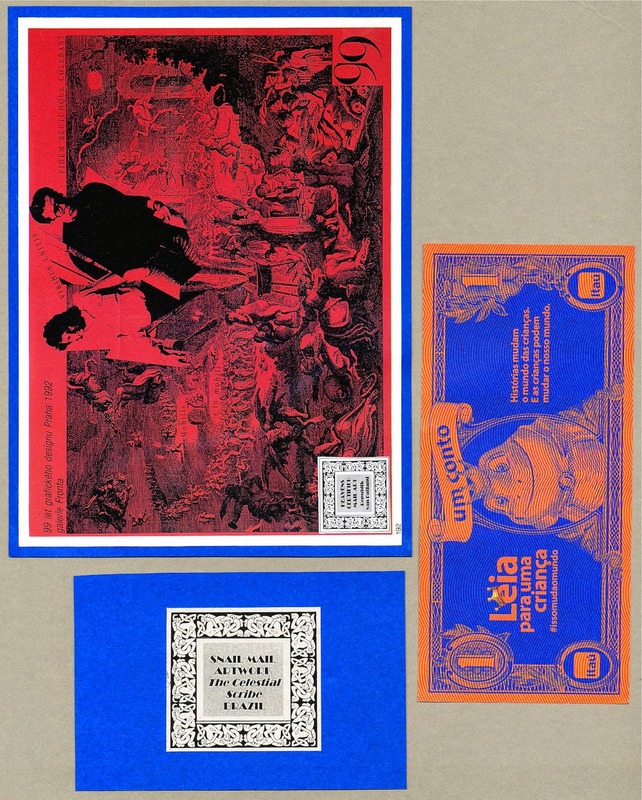 The envelope features a list of Celestial Wishes for 2015. His signature envelopes are always a cover for multiple treasures. Katerina Nikoltsou, Thessaloniki, Greece sent seasonal wishes made from ephemera and paper tape. 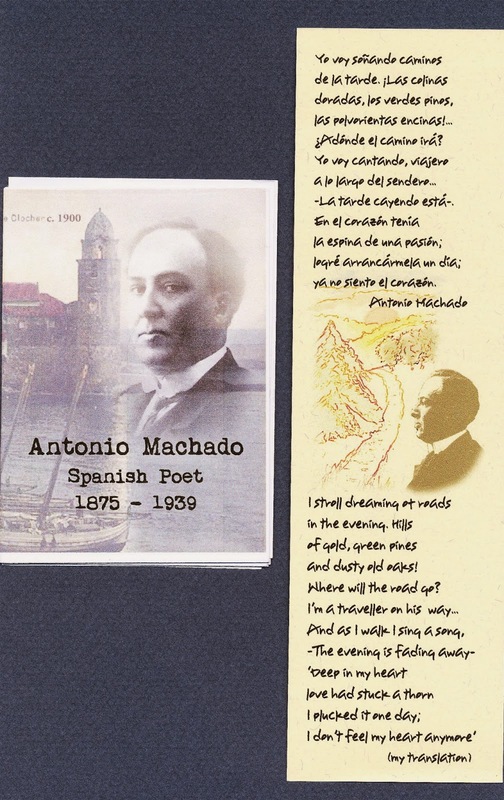 Mail Art Martha (IOUMA) and I discovered a shared love of the poetry of Antonio Machado. Martha visited his grave at Collioure, France and sent me a memorial booklet that she made, pine needles from the tree at his grave site, and her translation of one of his poems. It is such a thoughtful and meaningful gift. I don't feel my heart anymore." Martha's handmade booklet and her translation of poem.